Dr Kathleen Williams is Head of Discipline of Media. She researches the social uses of media technologies, digital and social media, and popular culture. Before joining The University of Tasmania in 2014, Kathleen taught at the University of New South Wales in the postgraduate and undergraduate media programs. Kathleen currently teaches media and communications in the undergraduate and postgraduate Media programs, specifically around screen cultures, digital technologies, popular culture, entertainment media and media studies. At the University of New South Wales she taught primarily in the areas of public relations and corporate communication. 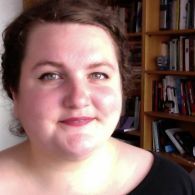 Kathleen's research is concerned with the socio-cultural uses of media technologies, aligning to the University's research theme of Creativity, Culture and Society. Her research primarily looks at the unexpected or unintended uses of media technologies, with a particular focus on nostalgia and the negotiation of cinema into online spaces. Kathleen is interested in how media histories and memory help us to understand emergent media; in particular, how the social uses of technology can dictate how older media is negotiated into online environments. By following how people co-opt technology from their intended uses, her research seeks to develop alternative narratives of the emergence and decline of media objects and practices. Kathleen is currently researching the afterlives of defunct or dwindling media technologies in two areas. In the first, she maps the persistence of analogue media technologies as objects of art and as objects of waste. She is completing a study of community and governmental engagement waste management initiatives, in conjunction with charting the ways that defunct media are being used and discarded. This research also aligns with the University's research theme of Environment, Resources and Sustainability. Secondly, she is looking at the objects and practices of technological nostalgia through a focus on VHS and online communities. Kathleen's PhD research was on recut film trailers (user-generated trailers created by splicing together footage from one or more sources). She argued that the recut film trailer is a networked object that draws upon spatial, temporal, textual and cultural connections. It looked at the intersection between the socio-cultural and technological histories of cinema, and how these histories are evoked in practices of consumption and production of film. It used a temporal framework of anticipation and nostalgia to understand how and why these objects have been popular since the launch of YouTube in 2005. More broadly, she also researches popular culture, promotional cultures, film and television, and digital and social media.